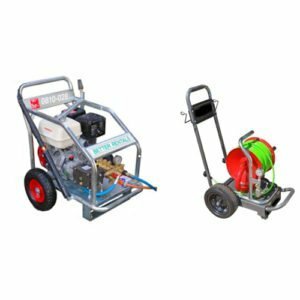 Drain Snake Hire | Better Rentals Melbourne. What style of Drain Snake Hire are you looking for? 27m of cable, cutters for tree roots, sand and grease - the unit most plumbers use. Not self feeding. 30 metres of hose, blasts through silt, sand and leaves. Self feeding. Why hire a drain snake from us? We recommend the right drain snake – not the most expensive. Drain Snake Rates right here on the website with no added extras. Ever. Problems with your drain snake hire? Call and a real live person will help 24/7. Heavy Ridgid Drain Snake. 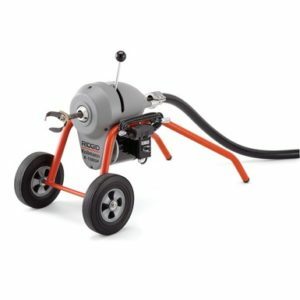 They’re proper heavy duty commercial drain snake – just like the one the plumber would bring with him if you call a plumber – with a variety of cutters for sand, tree roots or grease. And they have 27 metres of cable. Other hire companies charge extra for this length cable. Or a high pressure water blaster drain cleaner. Self feeding with a head that’ll blast through sand, leaves and silt. Note, this unit isn’t suitable for tree roots.